The past 12 months saw trends come and go. And with the virtual world taking on immensely on our lives, it also dictates over these trends. 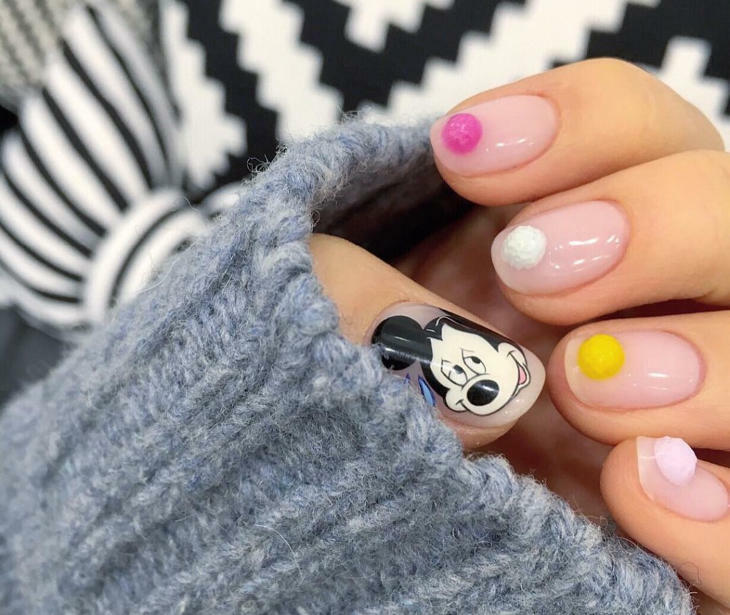 Coming to nail trends, there were some nail art trend that made the internet as well as the users completely obsessed over them. 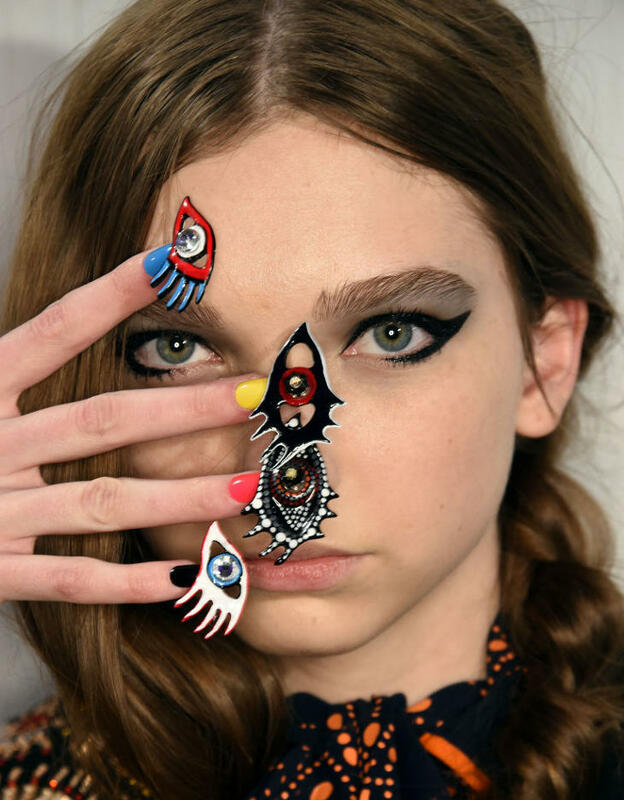 Before the year ends let’s have a look at top such viraled nail trends and check out how many of these did you try. 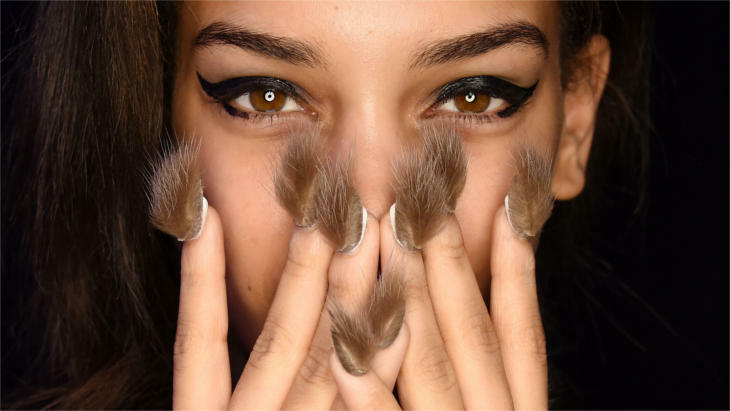 Though we were not much of a fan, but furry nails trends did create a rage all over the internet and especially in the social media. The idea was basically about decorating nails with faux fur with the help of high gloss top coat. You could love it or hate but you surely could not ignore it. 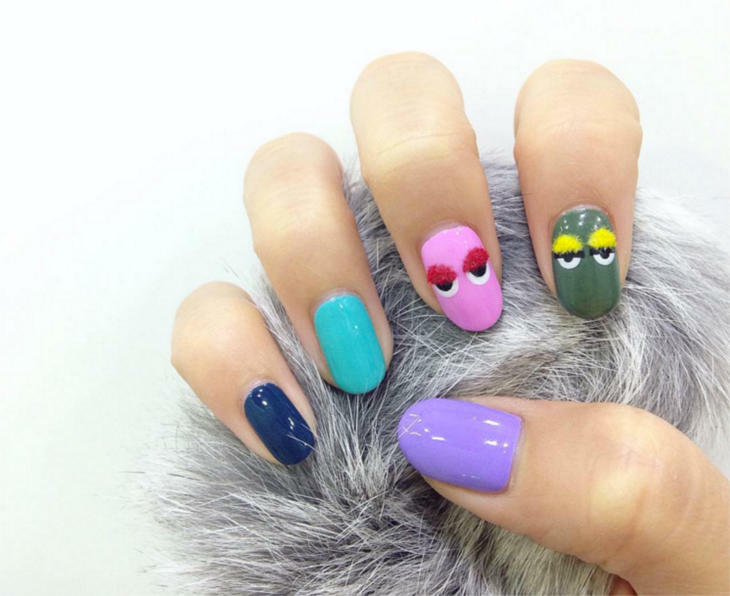 Pom pom nails is also a 3D style nail like furry nails but they are much more subtle than furry nails. You can use multiple colors and the smaller the pom poms the more adorable the look of the nails. We know girls love crystals but this was a bit extreme. From what we know, with this model the design took up 60 LED lit Swarovski Crystals and 200 hours to finish this nail art. 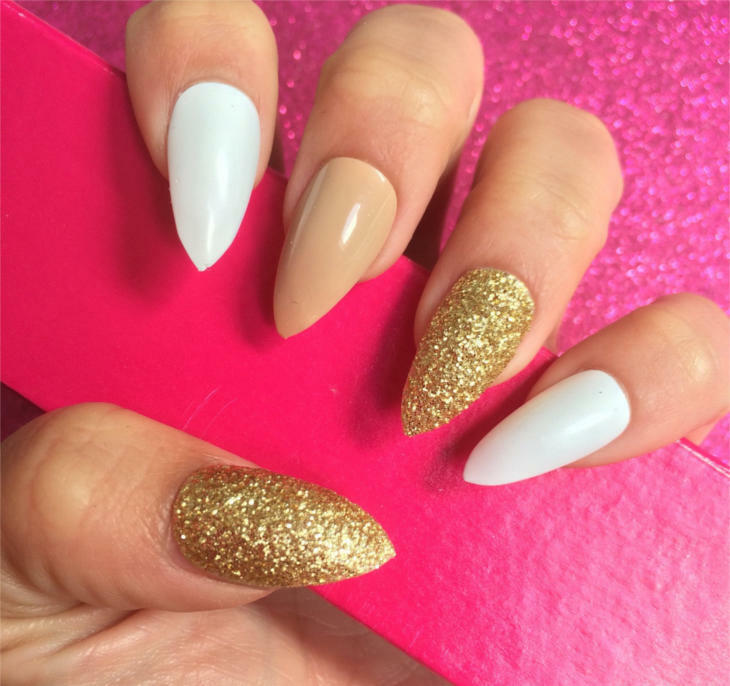 Gold nails have been a popular trend this year and will continue to rule 2017 as well. 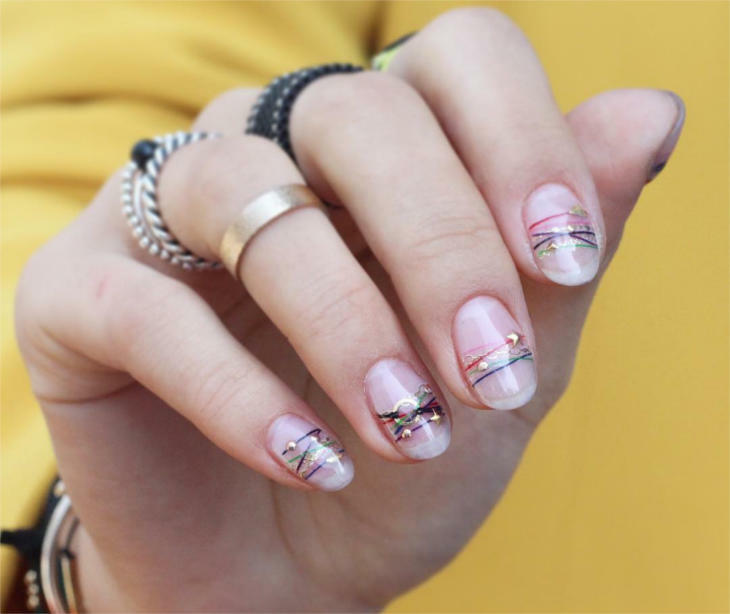 You don’t have to create a certain nail art, instead you can apply it simply as regular nail paint. This trend certainly deserved the attention that it received. It looks beautiful and elegant and is great for short nails too. 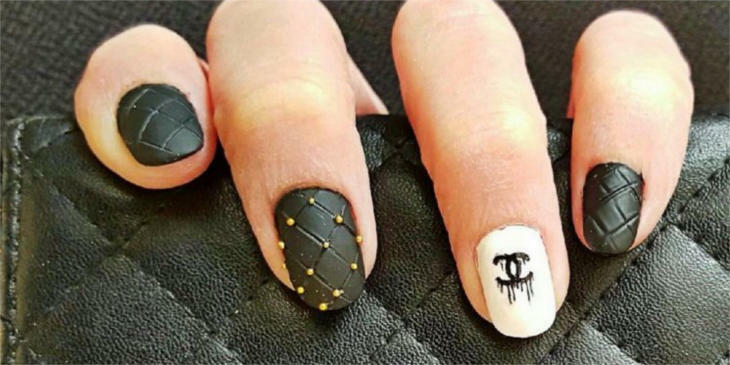 With mirror art taking over so many fashion trends this year, how could nail art trend be left behind. 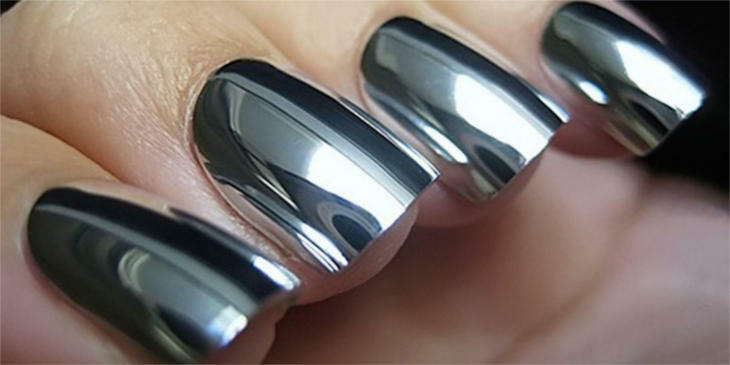 The best way to do mirror nails is by French manicuring your nails silver mirrored manicure. 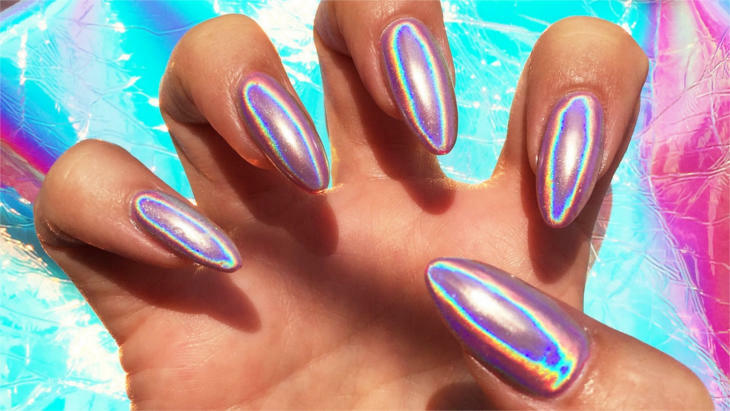 What if you could have color changing holographic nails? The trend is much of a rage this year. 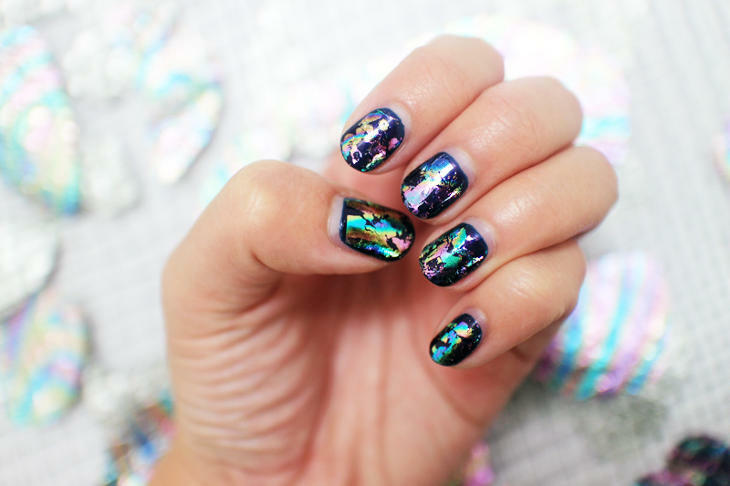 The color changing shimmer looks equally gorgeous on small nails as it does on the long nails. 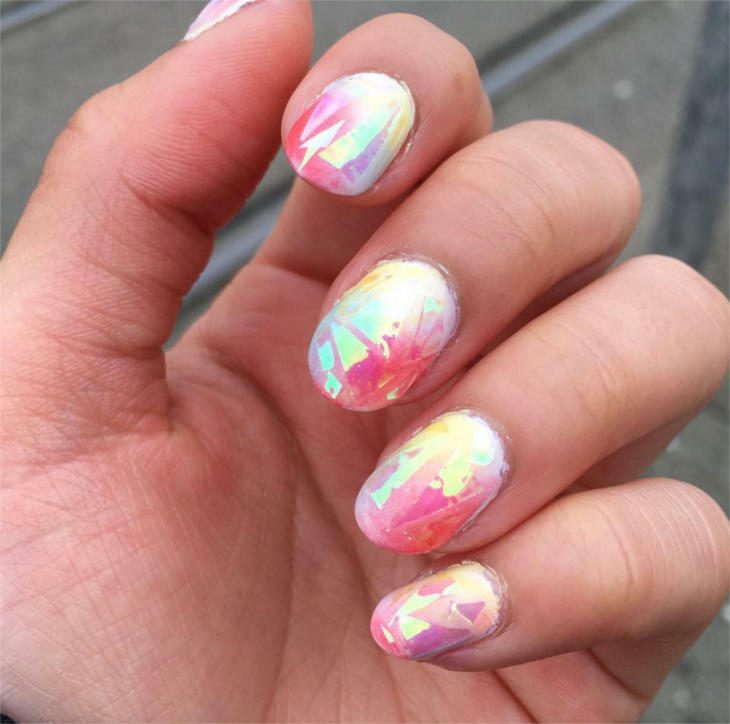 Glass nails are created with 3D prismatic stickers. The trend had a slow start but gained popularity with time especially in the K-beauty industry. Another very popular trend of 2016. The year embraced the art of quill and apart from nails, it was popular in other fashion statements too. Yes, we are talking about the succulent plant here. 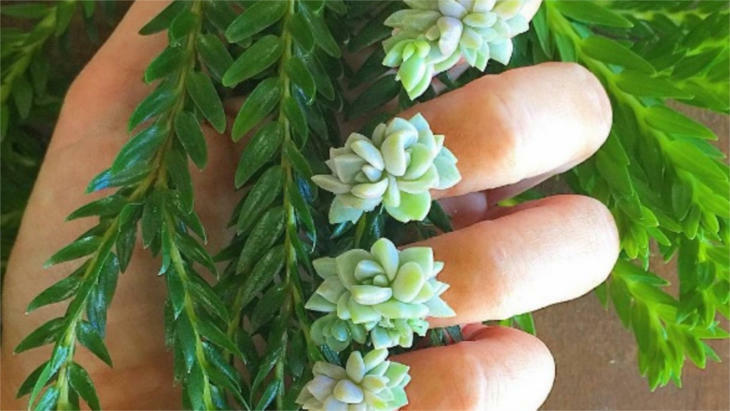 After working on succulent jewelry, Australian artist Roz Borg decided to take the next leap with nail art and called the temporary green thumb. And that’s how the world and the internet got introduced to succulent nails. 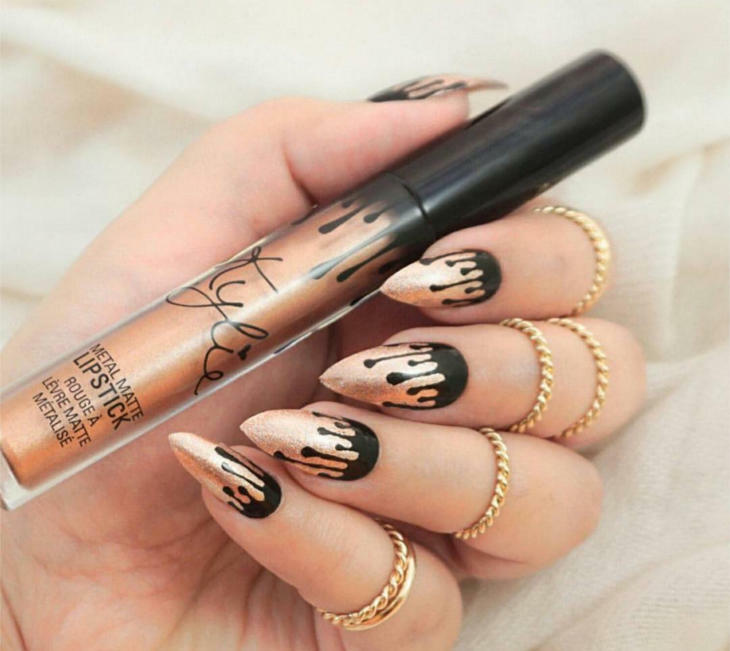 Inspired by Kylie Jenner’s cosmetics and lip kit, all her fans and Kylie herself tried and flaunted this nail art. 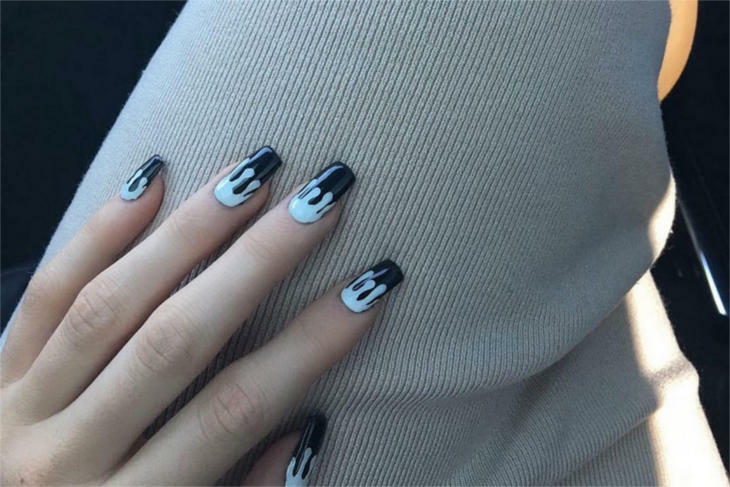 This is another nail art trend that was all over Instagram at one point of time. It had a rainbow like effect but with much darker colors. 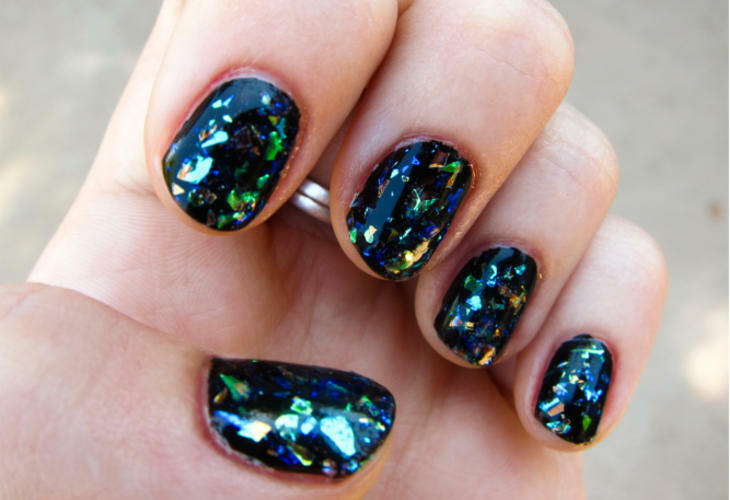 This magical nail art is sparkly and has a tinted rainbow effect. They look like shattered glass but are way more shiny and beautiful. 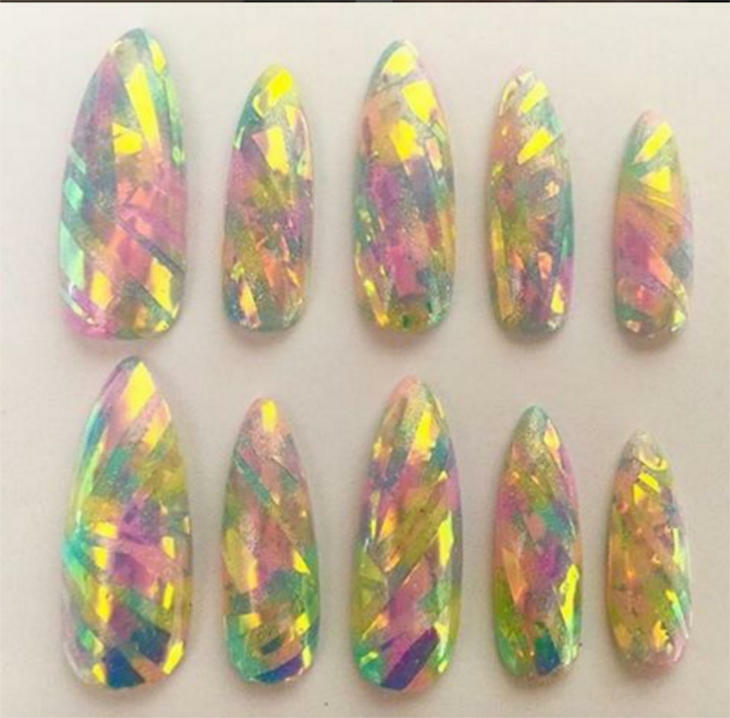 And same as the opal stone, this nail art can be created with a number of colors. 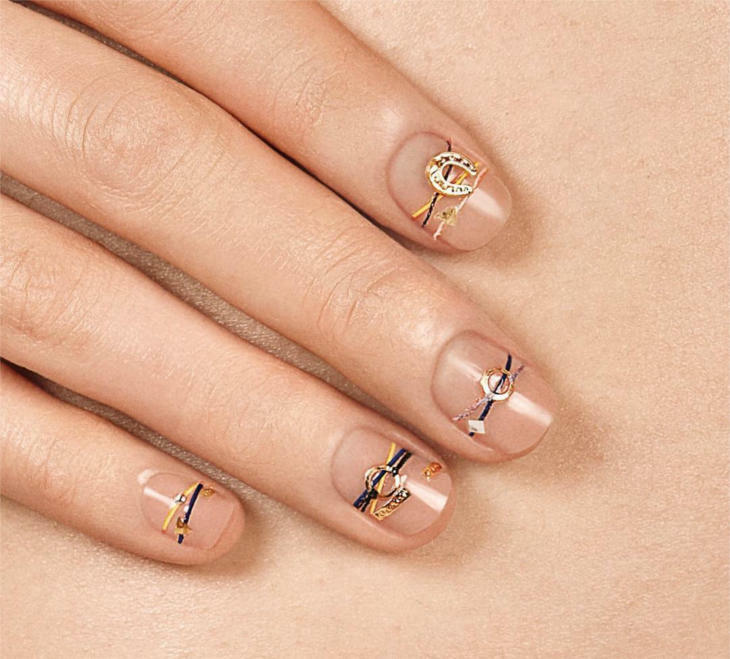 This nail trend is here to stay and will continue to shine in 2017 as well. 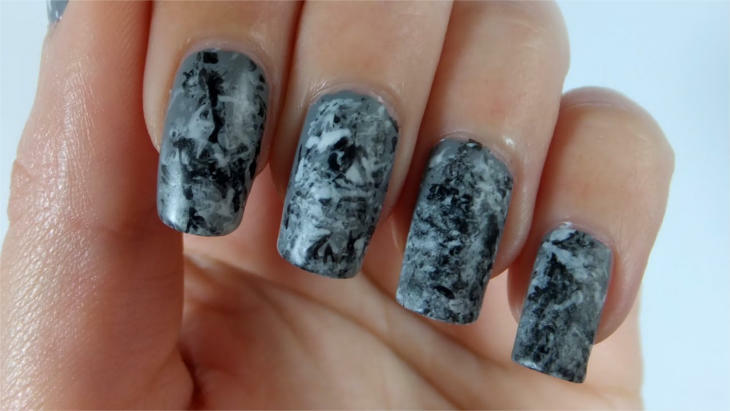 We love marble nail art, it makes your nails look beautiful and graceful. This time it is the crystals without LED. 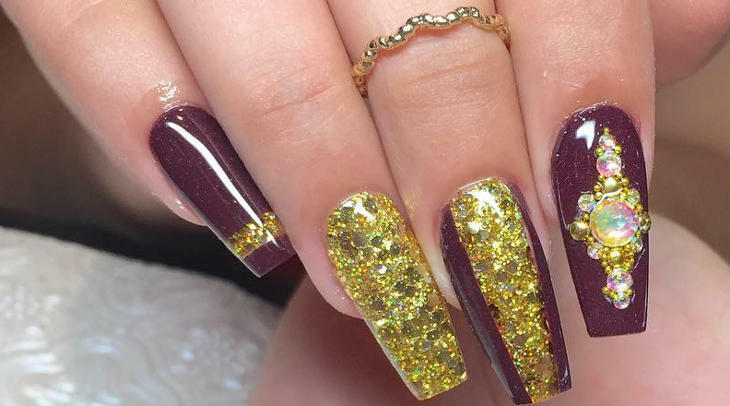 If you visit any nail salon near you the popularity of this nail art trend will become ‘crystal’ clear to you.